“First he leaves me, and then he comes back only to take away my only son! How can he do this me?” the woman wails. “How does he keep finding ways to splinter me apart?” Her anguish feels familiar, even personal; stories of mother-child bonds and absent husbands pepper our modern psyche. But this story has a twist: the absent husband is the Buddha. 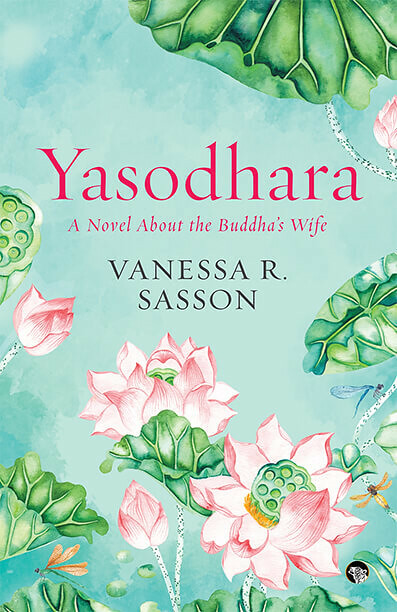 In her new book Yasodhara, Vanessa R. Sasson retells the story of Siddhattha Gautama’s awakening through the eyes of someone who wasn’t particularly thrilled about it: his wife. Told largely through a first-person narration, the story traces Yasodhara’s childhood, her marriage to the prince, the birth of their son Rahula, Siddhattha’s leave-taking to become a wandering mendicant, and their uncomfortable reunion—as Buddha and widow—many years later. The outline of the story is well-known. What Sasson has done is find the gaps in the famous narrative, the moments where Yasodhara’s presence feels missing or incompletely explained, and pour the woman’s voice into those spaces. Yasodhara blooms with her own unique, fierce voice, and, in doing so, adds richness to the original tale while revising and rewriting a new version centered on the experiences of womanhood. Sasson, a professor of Religious Studies at Marianopolis College in Canada, is also a contributor to Buddhistdoor Global, author of the Academic Reflections column. One of her research interests is hagiography, or the lives of the saints. Sasson calls Yasodhara a work of “hagiographic fiction,” and the title fits. The story doesn’t stray too far from the canon, and there’s a sense of distance from the characters at times, as if Sasson were cautiously opening up an old manuscript and trying not to smudge the ink. In writing the book, she faced a difficult task: how to take a beloved, male-centered narrative and bring to the fore a rather marginal female character, without entirely pulling apart the plot. Point of view matters greatly to Sasson’s project and where she lets Yasodhara loose on the page, in all her rage, delight, and loyalty, her story shines. Sasson sets her female-centric cast in ancient India, and revels in the details of the historical moment, from delicious-sounding feasts to details of ceremonies, clothing, and cosmology. Yasodhara wears a pendant of the goddess Durga, who is both fearsome and impeccably coiffed in this retelling: “She grabbed him with her steel fingers, raised one of the many arms at her disposal and sliced off his head as easily as if she had been slicing a cucumber. Not one hair of hers had fallen out of place. Durga is never disheveled.” The goddess inspires and guides Yasodhara, and the theme of female power recurs throughout the novel. Sasson’s strongest scenes are those that celebrate rites of womanhood: a mother teaching her daughter about menstruation; a dangerous birth; preparations for a wedding. In those moments, the story feels entirely given over to women, and Yasodhara’s character takes center stage. In a scene of a mother combing her daughter’s hair, Sasson conveys the intimacy of their bond. It’s a quiet moment, unremarkable in many ways, and yet essential because it provides space for women’s lived experience. By bringing those experiences into a beloved story, Sasson invites women inside the tale. Like all women, Yasodhara’s experiences include pain. As a girl, she is teased and treated as a prize, something she can hardly stand. As a 16-year-old bride, she misses her mother. She worries over infertility, and later suffers from postpartum depression after the birth of her son, an experience to which many modern women can relate. Her husband leaves her, and then takes her son. Like the Buddha, she must learn to let go of her attachments, but she’s only partly successful in letting go of the relationships that have made her life rich and meaningful. The close point of view ended up affecting this reader in a way I didn’t expect. I was with Yasodhara in her anger and hurt, so strongly in sympathy with her as a wife, a woman, and a mother, that I found myself in the odd position of getting angry at the Buddha. How dare he tear apart a family? It was a weird moment, and yet I’m glad Sasson takes the risk of pulling her reader into it. Although Yasodhara’s anger is clearly self-centered, it’s also relatable. Most people have felt betrayed and abandoned; very few of us can claim the wisdom of a great sage. Enlightenment can seem very abstract, but a new mother’s pain feels real and familiar. Sasson is less successful in her re-imaginings of the male characters, particularly the king and his ministers, who are a bit flat in contrast to the women (her Prince Siddhattha, I should note, is conflicted, a thoughtful, loving man in search of a better way). Because the women’s stories are less canonical and therefore, more responsive to re-imagination, Sasson has more leeway there. With Yasodhara, her mother, Queen Mahapajapati, and their servants and midwives, Sasson gets to be playful. There’s such fun in the squirming embarrassment of a pre-teen Yasodhara crushing on her prince: “Was he horrified? Did he think I looked ridiculous? Did he even care?” Where the male characters have to live up to canon, the women get to feel real, approachable, and modern.